If you would like to visit Medjugorje from Dubrovnik and are on a budget (or enjoy public transport!) then consider taking taking a bus from Dubrovnik to Medjugorje. The ticket costs around EUR 10 and leaves the main bus station of Dubrovnik at 17:15 daily, arriving in Medjugorje at 21:10. So be sure you book your Medjugorje Hotel before arriving! One such company offering a private transfer service from Dubrovnik to Medjugorje and private tours is Medjugorje Tours and Travel. Their transfer service from Dubrovnik to Medjugorje is affordable and reliable. A private tour of Medjugorje is the best way to see this lovely town if you are staying in Dubrovnik and don’t have time to spend longer in Bosnia & Herzegovina on one of the Pilgrimages of Medjugorje. A transfer from Dubrovnik to Medjugorje, highlights of the town on a private guided tour, daily Mass service, and the transfer back to Dubrovnik will cost for; 2 Adults – 90 EUR Per Person, 3 Adults – 60 EUR Per Person, 4 – 8 Adults – EUR 50 Per Person. If you are staying in Dubrovnik and looking for something interesting to do and perhaps you are not such a devout Catholic, then a day trip to Medjugorje still makes for a nice tour! With lush green forests and cascading waterfalls, Medjugorje is a place of peace and serenity, a place for everyone to relax and unwind. 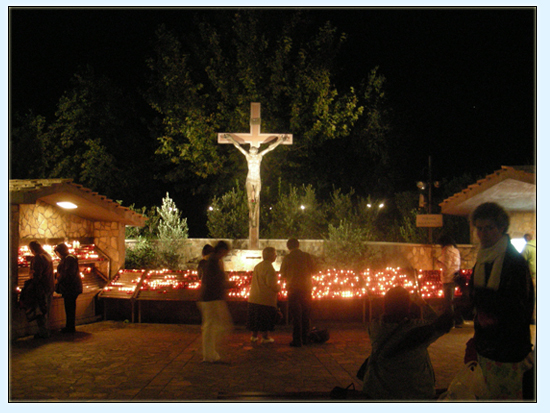 With so many little pensions in Medjugorje it is also possible to stay the night if you decide you like it so much! 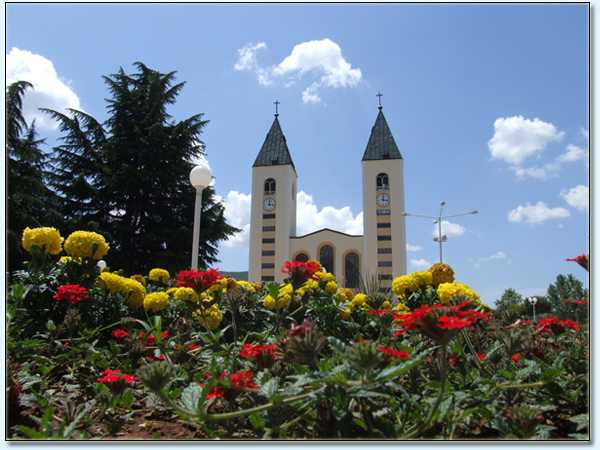 Medjugorje Tours and Travel is located in Medjugorje right next to the St. James Church in Medjugorje – pretty much the centre of town! So if you are looking for some advice regarding a day tour to Medjugorje or just general information about Medjugorje then contact these guys. You can actually book a day trip of Medjugorje from Dubrovnik online with Medjugorje Tours & Travel. If you have more time and would like to visit surrounding cities in Bosnia & Herzegovina consider a private Medjugorje Tour with pickup from Split, Dubrovnik or Sarajevo. It’s the perfect way to have a quick pilgrimage to Medjugorje with most things organised but enough time to still have your independence. Our partner Gunyah offers Bosnia Herzegovina Tours. I love your wine! Zilavka right? How do I get to Medjugorje by Rail or Road from Cologne? What are the 3-star Hotel options? You have plenty of options to get to Medjugorje by road, the new road through Dubrovnik makes it particularly quick! Rail takes a long time though, just from Prague I remember reading that it was a good 2-3 days. You will have enough time to take a bus from Dubrovnik and visit Medjugorje for the day. You could be in Medjugorje in time for English Mass at 10 am, climb Apparition hill where the young visionaries first encountered Our Lady. Visit St. James Church, the outside Altar, and various other places, all with a private guide for your group…. being back in Dubrovnik in time for the boat leaving! Hi, do you know how could I get from Dubrovnik airport to Medjugorje on Saturday (Aug. 1st)? I am arriving to Dubrovnik at 16:00 but don’t know what time a connection to Medjugorje would be. Is there also any transportation from Dubrovnik airport to Dubrovnik (in case the bus would leave directly from Dubrovnik)? Fatemi sapere se ci sono bus che partono da Dubrovink a Medjugorje, di dpmenica. orario di partenza e di arrivo, il prezzo del biglietto in eruro..Infine Partenza bus da Medjugorje in Dubronovik, orario di partenza e di destinazione ed il prezzo del biglietto. .In attesa di risposta. Nedjelja 12 lipanj Pustiti mene znati ako postojeautobusi koji odstupaju od Dubronovik uMeđugorju, vrijeme polaska i dolaska stopa. TadaŽelim znati umjesto ostavljajući autobusom u Međugorje Dubronovik, vrijeme polaska iodredišta i troškove. Čeka se odgovor. Sunday, June 12 Let me know if there are buses that depart from Dubrovink in Medjugorje,departure time and arrival rate. Then I want to knowinstead of leaving by bus to Medjugorje in Dubronovik, departure time and destination and cost. Waiting for reply. My daughter and me are planning to go on land tour of Croatia in October. We want to go visit Medjugorje while we are in Dubrovnik. I want to know the weather in October or early November. Also, can we just take a tour of the Blessed Virgin while we have free time from the tour? How much will it cost to get a bus from Dubrovnick to Medugorje on Sunday 26th June . What times are the buses travelling? We will be returning to Ireland on July 3rd and our flight home is at 11.00am. Will there be a bus travelling from Medugorge in time to catch flight at that time? I would highly recommend contacting Zana and Alen who are from Medjugorje and can answer your question. I know they put together some excellent itineraries and with such a central location in Medjugorje, can provide support (in English!) when you need anything. You can contact them at the following: info@travel-medjugorje.com. The soon to launch website http://www.gunyah.com will also provide short break holiday packages to Medjugorje, Bosnia & Herzegovina, departing from Dubrovnik, perfect for a few days visit to Medjugorje. the port of Dubrovnik of our 50th wedding Anniversary on Sept. 3 2011. On the way from Dubrovnik to Medugorje my tip is to stop for coffe in Mostar. There is so many small nice coffee shops close to old bridge, and that is something which is – must try. My tip is also if you go with your own car from Dubrovnik to Medugorje is to visit small place called Blagaj where is spring of small river Buna. They have there nice restaurant and it is really place worth to see. It looks so fantastic, I would like to visit this place! It is such a shame that I live only little bit less than 150 km and still havent bean there!!! There is not a particular tour bus to take that departs regularly. A public bus is an option but you’re right it will stop at a number of destinations on the way and back from Medjugorje. What about a private transfer? Or is that out of the budget?